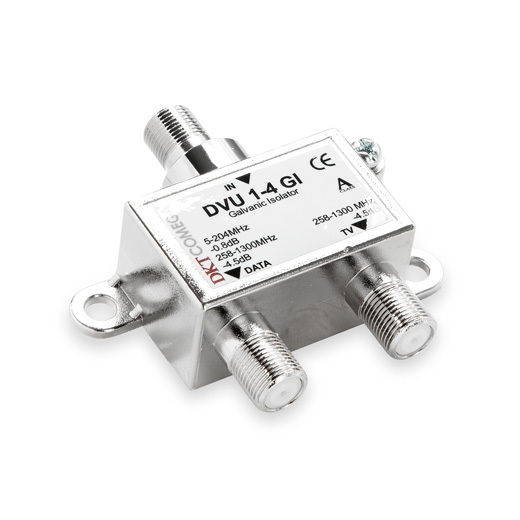 The compact DKT attenuators, equalizers, and high-pass filters are easily mounted and very durable. All are designed with a free rotating nut, allowing installation without twisting the cable. 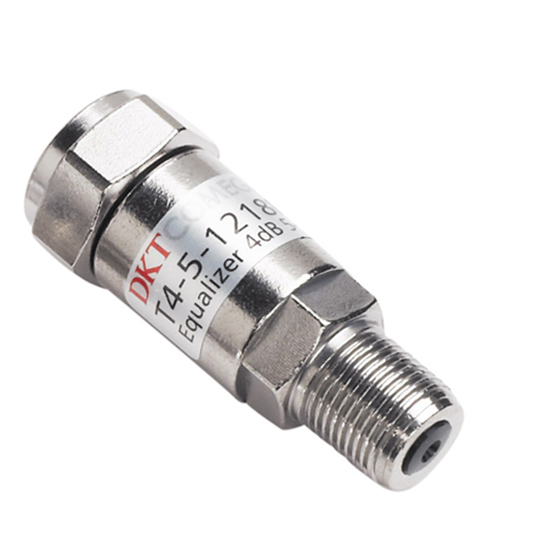 Furthermore, the connectors are plated with a nickel-tin alloy, ensuring minimum corrosion over time. This nearly eliminates the need to retighten connectors across the cable network during the product’s lifespan, which is a common cause of error in cable networks. This greatly minimizes operational expenditures. With the introduction of DOCSIS 3.1 there is a need to allow TV packages in one frequency range and downstream DOCSIS 3.1 in another frequency range. DKT offers these filters in a compact housing. 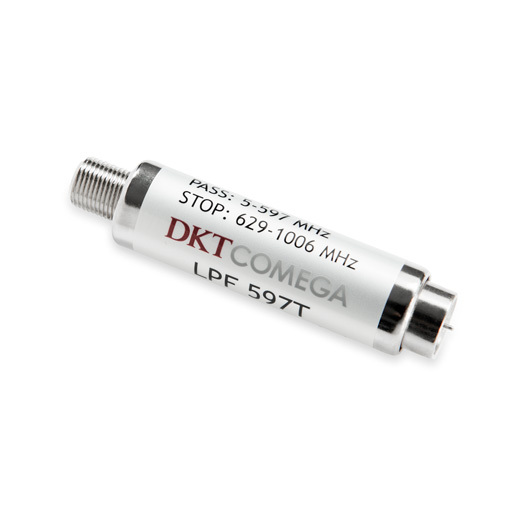 DKT offers a series of slim low-pass filters with low insertion loss. 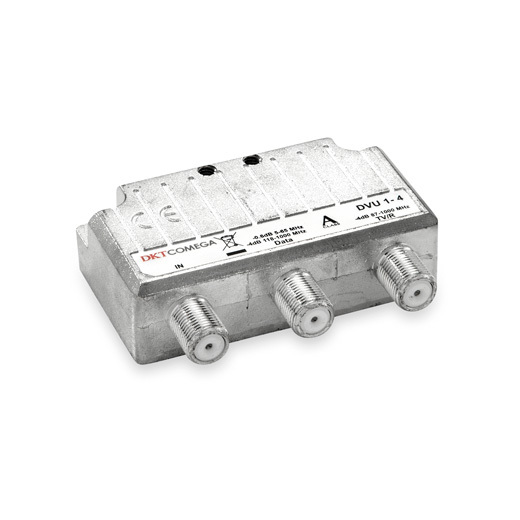 With sharp roll-off, these filters remove signals above specific cut-off frequencies. This also makes it possible to remove disturbances from the LTE bands. The filters can be designed to fit customer requested cut-off frequencies, an example being LPF 750T. The DKT LTE filters are listed in the table at the bottom below. When distributing MoCA signals inside the home, the MoCA POE filter effectively blocks these signals from leaving the home, offering high security. Please note that this filter also blocks part of the DOCSIS 3.1 signals, and must not be placed in a part of the network also carrying DOCSIS 3.1. DKT’s galvanic isolators eliminates problems from differences in the potential between the distribution network and the in-home network. Home network interface products connecting the distribution network to the home network. This whitepaper explains why equalizers must be used in DOCSIS 3.1 deployment. free to get in touch!